The Lloyd Center for the Environment is pleased to be the recipient of a $30,000 Facilities Planning and Technical Assistance Grant awarded by the Massachusetts Cultural Council (MCC). This grant enabled the Lloyd Center to complete a preliminary capital campaign study. It allowed the Center to conduct extensive research to determine necessary improvements to support the programs that serve the Lloyd Center’s constituents – students, professionals and South Coast residents. 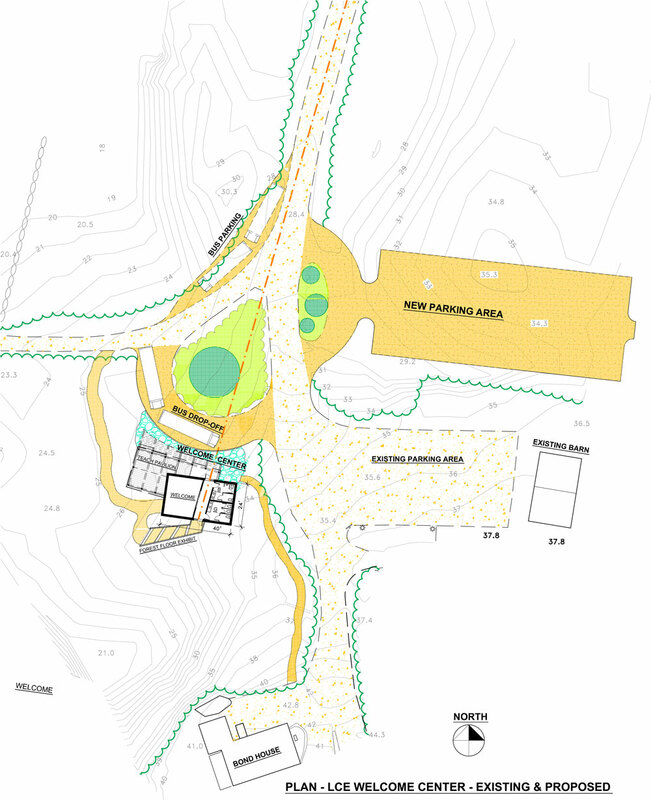 This planning project provided a firm foundation for making the facilities improvements needed to meet the growing demand for Lloyd Center programs and create a new vision of the Lloyd Center as a regional Biodiversity Center. At this year’s annual meeting, the Lloyd Center announced a capital campaign ‘Transforming a Legacy Campaign’ that has already begun to raise the funds to make these plans a reality. The Center’s transformation will take place in a three-phase process and has been designed to ultimately deliver Lloyd Center programs within a “living classroom”, where buildings blend into the ecology of the preserve where they exist. The project will begin with the construction of a new welcome center which will be constructed to greet, orient and introduce students and visitors to the Center. Housing a bus drop-off shelter, interior and exterior meeting and teaching space, information displays and restrooms that will showcase composting toilets, reclaimed water and renewable energy generation, this 960-square-foot welcome center will be a state-of-the-art, net energy and net water positive structure certified by the Living Building ChallengeTM (living-future.org) – the building industry’s most ambitious sustainable construction performance stands. Additional steps in the project will include a bus drop-off, parking and roadway improvements, the construction of a teaching pavilion on the Slocum River, and a 1,600-square-foot addition to the exploration center dedicated to education, outreach and research programming in addition to live animal and natural history exhibits. The Massachusetts Cultural Council is a state agency that promotes excellence, access, education, and diversity in the arts, humanities, and sciences, to improve the quality of life for all Massachusetts residents and contribute to the vitality of our communities. MCC pursues this mission through grants, services, and advocacy for nonprofit cultural organizations, schools, communities, and artists.